Ikill Pest Control offers organic treatment options for structural pest control. Our organic treatments are best effective when used on a monthly service plan. Ikill Pest Control is a locally owned pest control business. Our mission is to provide our clients with excellence in pest control and customer service. Ikill Pest Control is licensed, bonded, and insured. Ikill Pest Control Specializes in General Pest Control, Rodent Control, Wildlife Trapping and Bee Control. We offer a variety of service plans. Looking for a quality Pest Control Service you can depend on? Well, look no further. 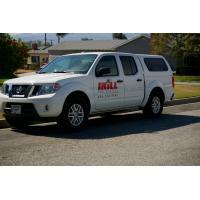 We're Ikill Pest control, available where you need us when you need us. We are committed to being the best at what we do, serving clients in the San Gabriel area by not just meeting their expectations, but exceeding them. our experts at Ikill Pest control use a strategy that traps, baits and targets rodent conrol. We will advice you the best treatment for your specific situation. Get this service done quickly and efficiently by the experts here at Ikill Pest Control We understand how important it is to feel confident and worry free when it comes to bed bugs. Our dedicated staff invests the time and energy necessary to be well prepared for any special service. Ikill Pest Control offers a 30 day service guarantee. If customer is not completely satisfied Ikill Pest Control will come out to the property to treat problem areas free of charge.